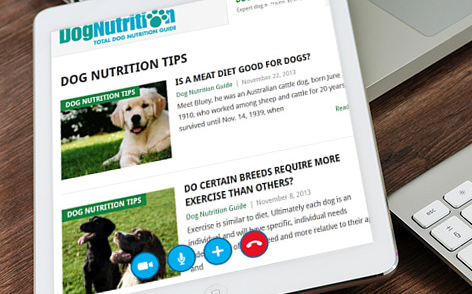 Total Dog Nutrition is a dedicated channel providing tips and advice for owners who care about the food their pets consume. The site contains information on a wide range of nutritional aspects within the canine lifespan. With a rapidly growing interest from owners who are passionate about learning about canine nutrition, Total Dog Nutrition helps owners to better understand issues such as life-stage feeding, raw food, commercial pet food, ingredients and breed specific diets.